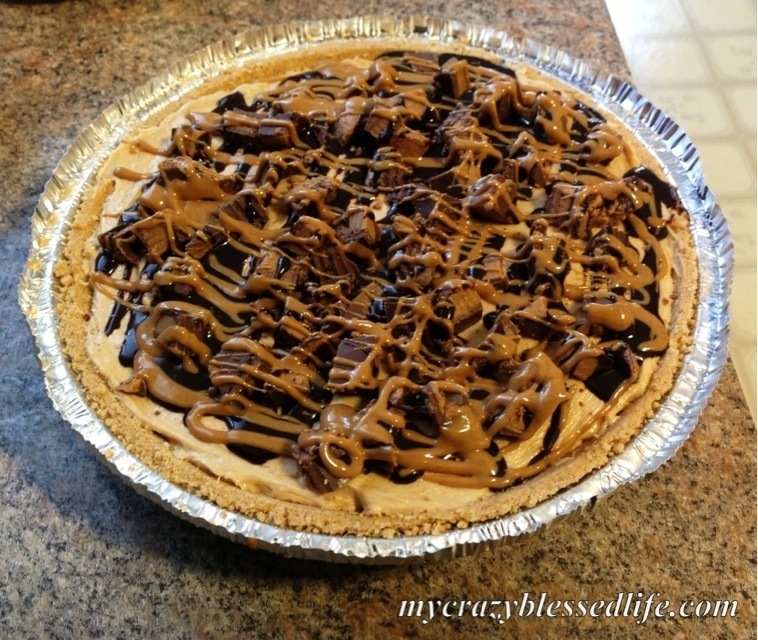 Chocolate Peanut Butter Pie Heaven | My Crazy Blessed Life! I have an amazing friend who just finished her Master’s degree and has her graduation ceremony today. I wanted to do something nice for her as a congratulations and she loves chocolate and peanut butter. In fact, I’m to blame for her recent addiction to Reese’s hearts over the valentine season. 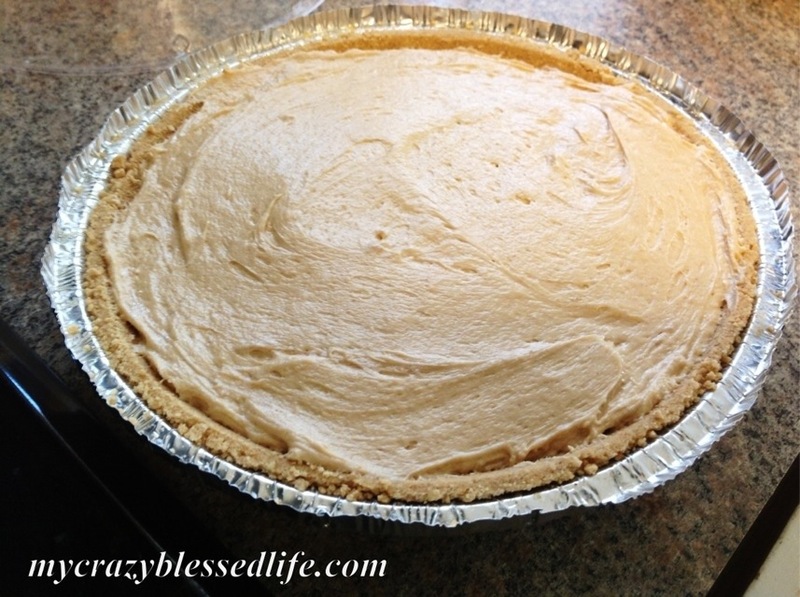 So I decided on my quick peanut butter pie that any chocolate peanut butter lover would enjoy. 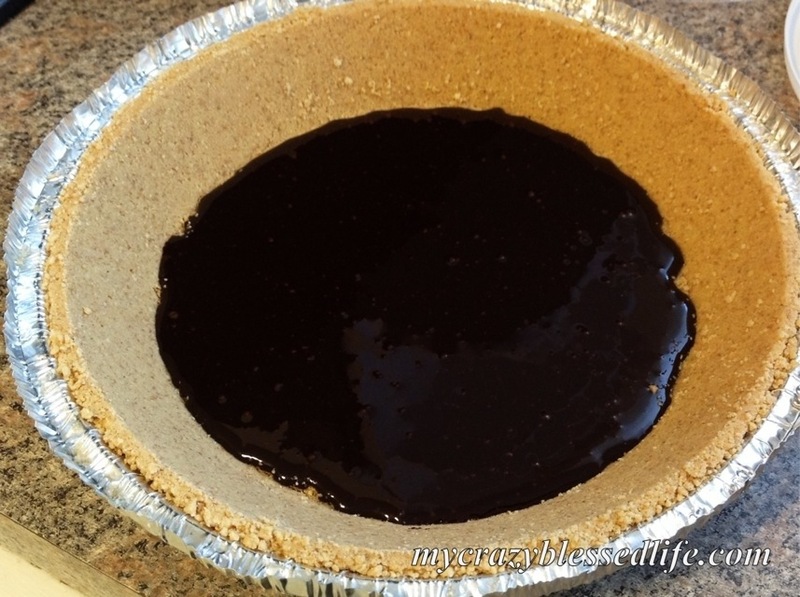 Spread hot fudge sauce on the bottom of the pie crust, reserving about 1-2 Tablespoons for garnish. I made my hot fudge sauce by taking some of my homemade chocolate syrup and boiling it for a few minutes over medium high heat on the stove. I chilled it completely until thick and cold. Then spread it on the bottom of my crust. 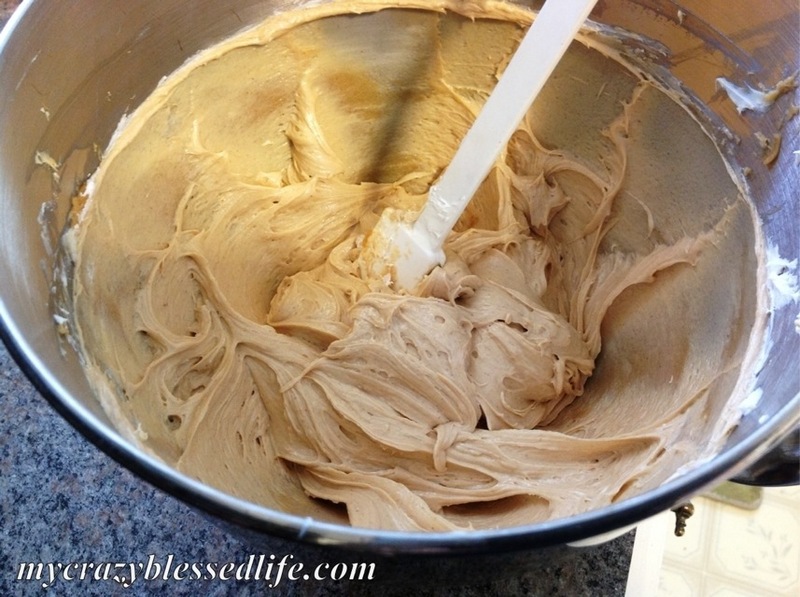 Next put the peanut butter, cream cheese and powdered sugar in your mixing bowl and beat together. Stir in the whipped topping. Spread this mixture on top of the fudge layer. 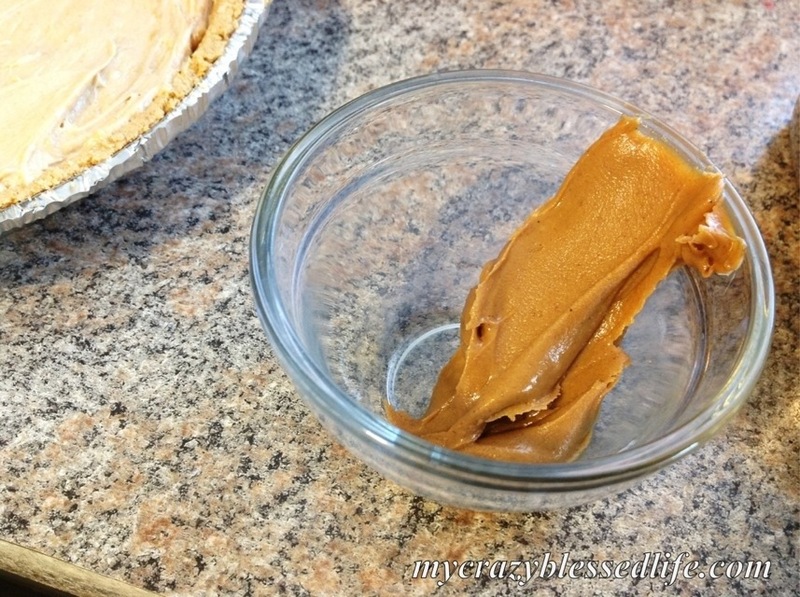 Next take the one Tablespoon of peanut butter and put it in a small bowl. Microwave for 15-30 seconds until melted. 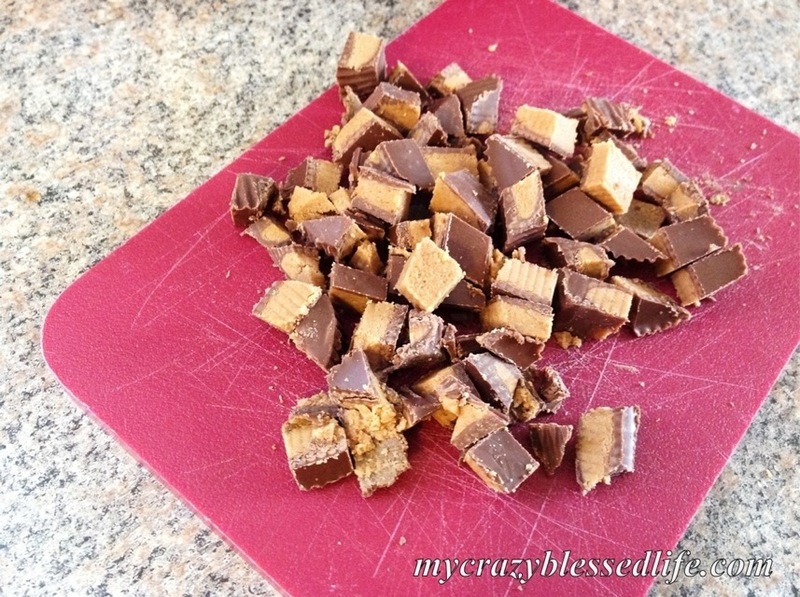 Chop your peanut butter cups. Sprinkle the peanut butter cups across the top. Then drizzle the remaining hot fudge sauce and melted peanut butter over the top. Refrigerate overnight or put in the freezer for 1-2 hours before serving. This is a crowd pleaser in our house and I hope my friend knows just how proud I am of her accomplishment! Now I may have to go make my husband one too 🙂 thanks for stopping by! I’m gona try this tomorrow for my hubby hope it goes well looks simple and yummy!! I have made this so many times and EVERYONE LOVES IT!!! the only thing I did was buy the graham cracker crust with the 2 extra servings thank you so much for sharing it is definitely a keeper! !